Redecorating a bedroom can be nothing more than a weekend project. View my modern rendition of this bedroom along with sources and a how-to. Yay! This is part of my design 101 series. So fresh and clean. I want to crawl into that bed with a tea and a good book. Here's how. That art print by Kelly Johnston for Minted is amazing. It pulls everything together. Frame it in white, black, gold, or light wood. It'll all look good! All other items at Ikea! 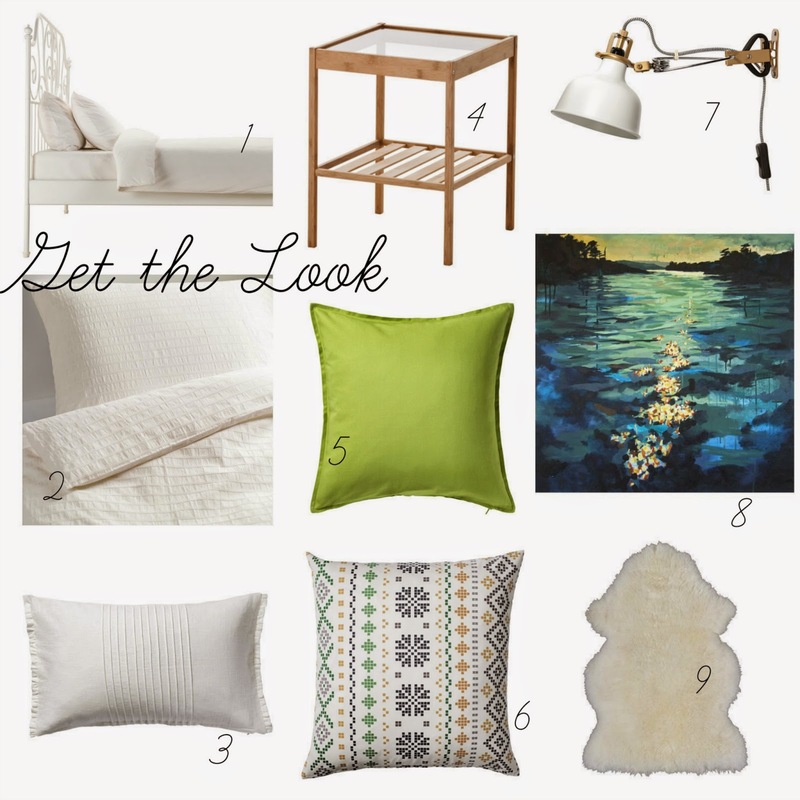 How to redecorate the bedroom in a few simple steps. 1. Pack away, donate, or sell anything you don't like, need or use. 2. Move all furniture away from walls and paint a creamy white colour, such as Benjamin Moore's simply white in Eggshell (60$). 3. Purchase all items and arrange as shown in inspiration photo. Not too shabby for an almost complete bedroom for under $800!